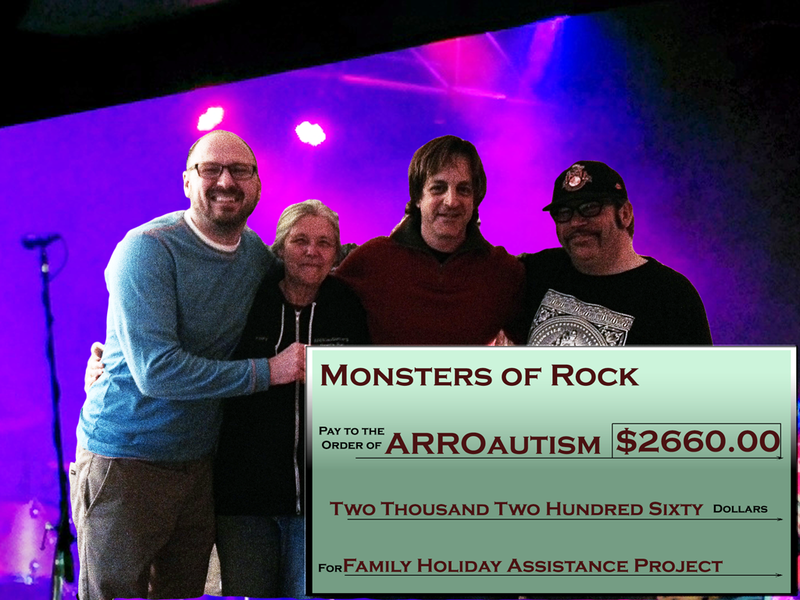 On October 18th, 2014, 60 Portland area musicians gathered before a sold out crowd at Dante’s Inferno for the 5th annual Monsters of Rock Concert, this year benefiting the ARROAutism Family Holiday Assistance Project. Not long after the fog machine smoke had cleared, and the drumming and lyrics had stop echoing in everyone’s head, the final tally was reached – a sensational $2660 was raised. 30% to Goal Thanks to MOR5! Thanks to Monsters of Rock 5, we have launched this year’s Family Holiday Assistance Project at a rocket pace, reaching 30% of our target goal of $7500. 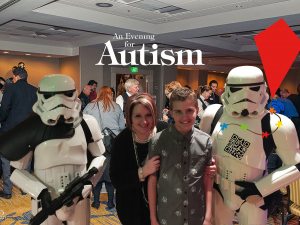 Each year, ARROAutism raises money to provide families in need with two $50 gift cards, one each from New Seasons Market, and Fred Meyers respectively. Thanks to partners like Monsters of Rock, and donations from people like you, we are able to continue valuable this project. Please join us now, as we strive to help more families in need. This entry was posted in Concerts, Family Holiday Assistance, Fundraisers, Projects. Bookmark the permalink.